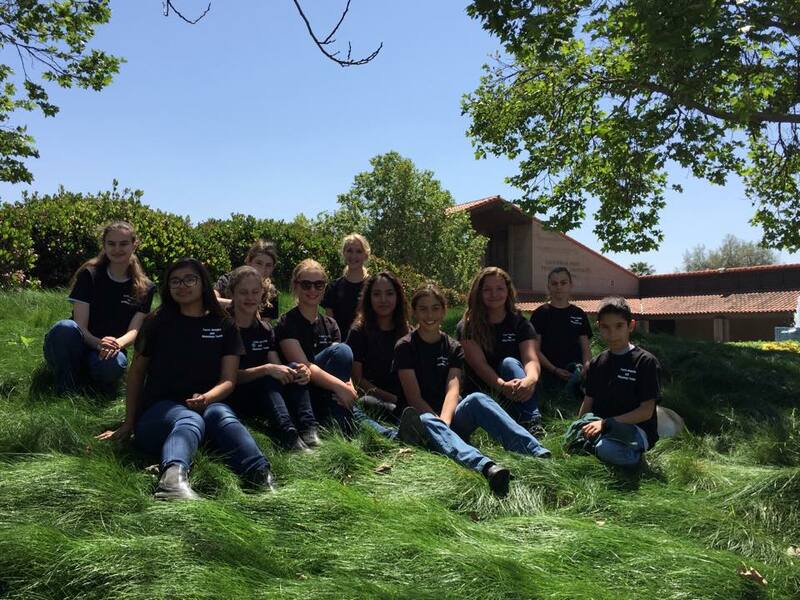 The Region 2 Hippology Team made a big splash at Youth Nationals this year. The qualifying team of six took home a champion with Natalie Zavala, reserve with Danielle Garcia, and top ten with Krista Askenas and in the 14-18 age category, reserve with Kate Day and top ten with Jacki Thacker in the 11-13 category, and top ten in the 10 & under with Amber Hauptman. Happily, AHA reported that the hippology contest is growing in size and they experienced a 10% increase in the youth category and a 30% increase in the adult and trainer categories. The kids began meeting and studying for the team back in February. We started the year with over 20 youth and whittled the number down to the top six. The kids were tested twice during the year and those with the highest scores were eligible to be sponsored by Region 2 and compete as representatives of their region. The youth were at Nationals for two days. They took the hippology exam on Saturday and then participated in the awards ceremony and the Golf Cart Parade of Regions on Sunday. The Region 2 golf cart parade, while seemingly unimportant, serves as a great unifier for the kids. They spent hours searching the fairgrounds for cardboard, extra tape, scrap wood, sand, and collaborated on ideas to represent their given country, Egypt. Our kids truly enjoyed their efforts and were unmatched in spirit. Several kids from other regions kept coming over to hang with ours! Not only did these kids study new material weekly, they were also able to participate in actively supporting Region 2’s fundraising efforts that were spearheaded by leader, Flora Elm Colone. 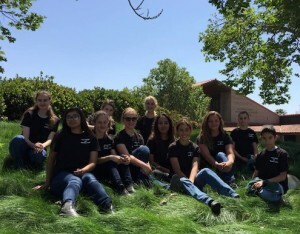 The youth assisted in the scavenger hunt, attended a Santa Ynez farm tour and judging workouts followed by a Region 2 youth meeting, the silent auction, did gates and ribbons at the Spring Qualifier, scooping ice cream, selling drinks at the Region 2 exhibitor dinner, and hosting kids’ carnival games. The amount of time spent by the youth and the dedication of their parents to drive them around to volunteer was excellent. A former hippology participant, Ellery Vincent, recently came home for a visit and stopped by to see me. She told me that all the studying we did for hippology has really made her pre-vet classes so much easier. She has seen it all before! 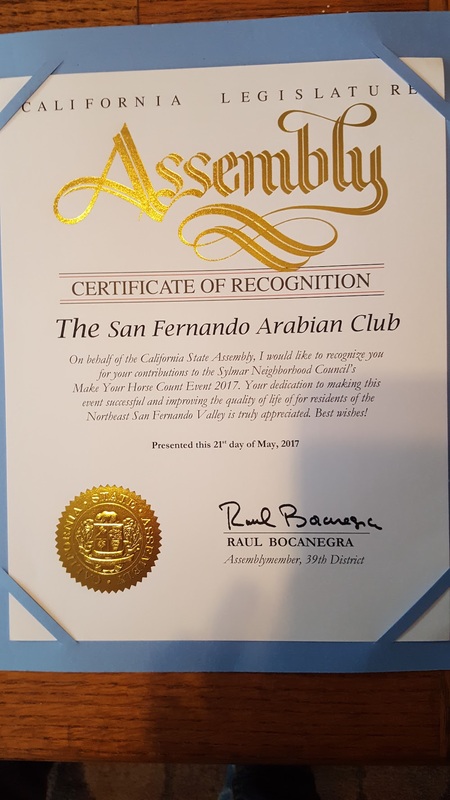 It’s fantastic to hook these horse crazy youngsters on Arabians at such a young age by exposing them to the Arabian Youth Nationals and to give them a leg up on their education as well. It’s a win for all of us. Next up for our four qualifying youth will be the Judging Contest in Tulsa this October. The competition there is more intense and generally has more seasoned and older participants, and this will only be the second time that I’ve taken a team to US Nationals. Our girls are preparing over the next ten weeks by giving oral speeches, watching and placing classes, and studying the judging criteria for both halter and performance. It’s a big challenge but they are striving to once again earn a spot in the awards. Last year, they earned a top five placing in the performance judging division for AHA juniors. Thank you to Region 2 for supporting this year’s fantastic kids! You should be proud of their accomplishments and they in turn are very grateful for the opportunities. The Region Two Hippology and Judging team’s trip to the Arabian Youth National Championship show in Albuquerque, New Mexico, was an enriching excursion filled with excitement and education. Although the twelve hour (or more) car ride was arduous, it offered a time to stop in scenic locations and stare out the window into the American southwest, ranging from pine forest in Flagstaff to rocky desert in Joshua Tree National Park. Team members Natalie Zavala and I arrived in New Mexico almost a week before the other members of the team, and it was straight to work caring for and riding our horses. Being our first year competing at Class A shows and Youth Nationals, we were elated just to attend, regardless of how many ribbons we went home with. Before the rest of the hippology kids drove out, Natalie and I caught Stan Morey’s judging clinic, which was an enlightening refresher of the AHA Rule Book and new issues in the show ring. Later that day we voted for new youth government leaders and listened to reports from various committees at the annual AHYA Convention. Region Two’s very own Flora Elmcolone was voted 2016 secretary of AHYA! The rest of the hippology team arrived to New Mexico safe and sound the night before the big test, a national level hippology trivia exam open to anyone to take. There were two parts to the test, a written multiple choice and afterwards various stations featuring a range of topics. Some were as simple as parts of the horse, but some more difficult like parts of the cart, native costume, and identifying plants and samples of feed. Every age group got a separate level of difficulty, from ten and under to the trainer challenge. It was tough for all of us to wait overnight for our results! 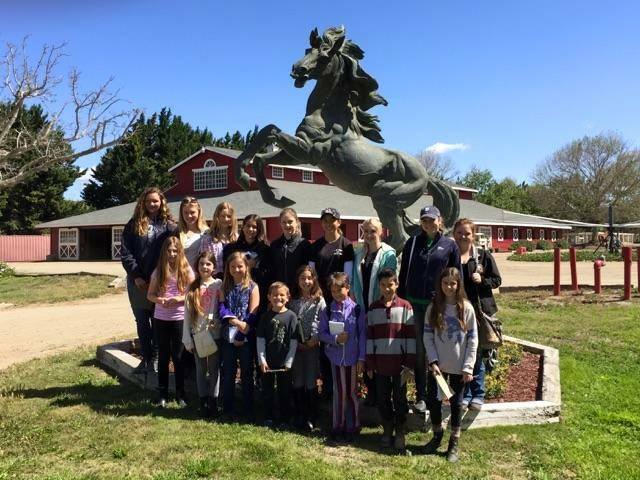 The very next day in center ring the team learned of our success: every one of us earned a Top Ten in our age group, Natalie Zavala won National Champion in 14-18, Danielle Garcia won Reserve Champion in 14-18, and Kate Day won Reserve Champion in 11-13. The most amazing part was that the top four scorers in the 14-18 age group were all five points apart, which shows just how competitive the quiz can be! That afternoon the Region Two youth worked on our golf cart for the Parade of Regions, of which the theme was “Horsin’ Around the World.” Our region’s assigned country was Egypt, so we affixed a homemade pyramid atop the cart, donned our pharaoh apparel, and blasted “Walk Like an Egyptian” down Main Street. Even though our abounding spirit lost to a mariachi band, we all licked ice cream at the Ice Cream Social afterwards in the humid Albuquerque heat. The rest of the time the entire team was at Nationals we watched classes, which was a spectacle for the younger kids because they hadn’t seen such fancy horses, competitive disciplines, or giant classes before! Following the departure of the rest of the hippology team, Natalie, Kate, who stayed to help out, and I still had to finish showing in our classes. Natalie won a Top Ten in Showmanship 11-13, but we both went home with more experience, a stronger work ethic, new friends, and most importantly a bright outlook towards our future with Arabian horses. A wise man once said, “You never lose, you either win or learn,” which is precisely what the Region Two Hippology Team learned, and what Natalie and I learned in the show ring. The youth group has been going strong this year! 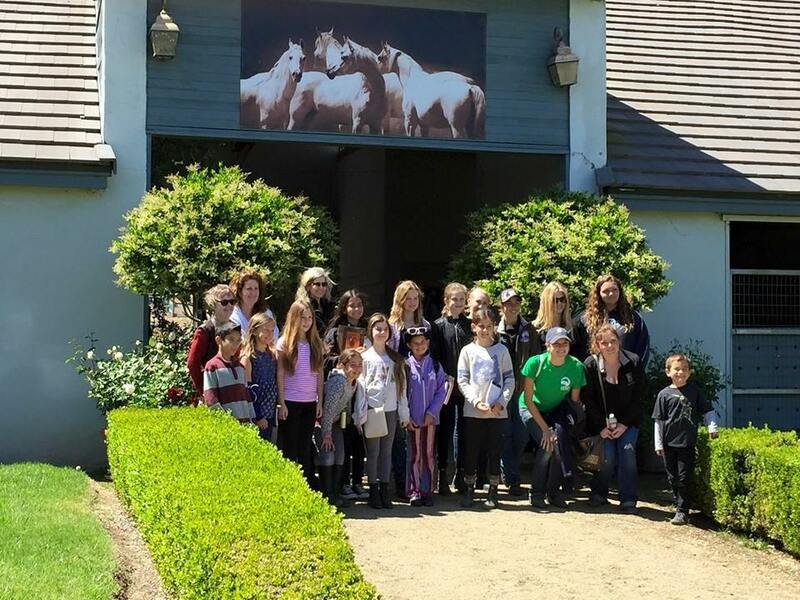 The kids involved have been having twice a month study groups, traveled to the Rancho show to judge classes, put on a fun show fundraiser in March, went to a judging contest at Cal Poly Pomona, and were treated to a special day in Santa Ynez, and received new t-shirts from AHASFV. So much going on!! 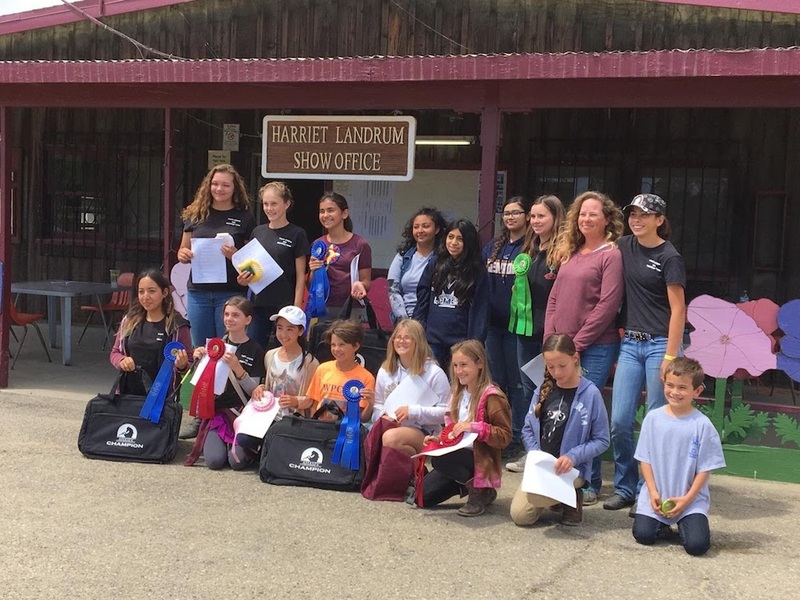 The latest group field trip was up to Santa Ynez where 14 youth judging and hippology kids traveled to four different Arabian ranches and had horses presented for them. It was an amazing and full day that all enjoyed, even the parents and chaperones! A special thanks to Kelly Elm and her daughter Flora for organizing the event. The first stop was to High Star Farms in Los Alamos with Tammy Burkman of Ta Da Equine. Tammy and clients presented us a class of hunter pleasure horses for us to judge. 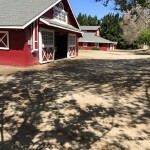 She also allowed us to roam the barn and tack rooms, and feed rooms to expand our hippology knowledge. 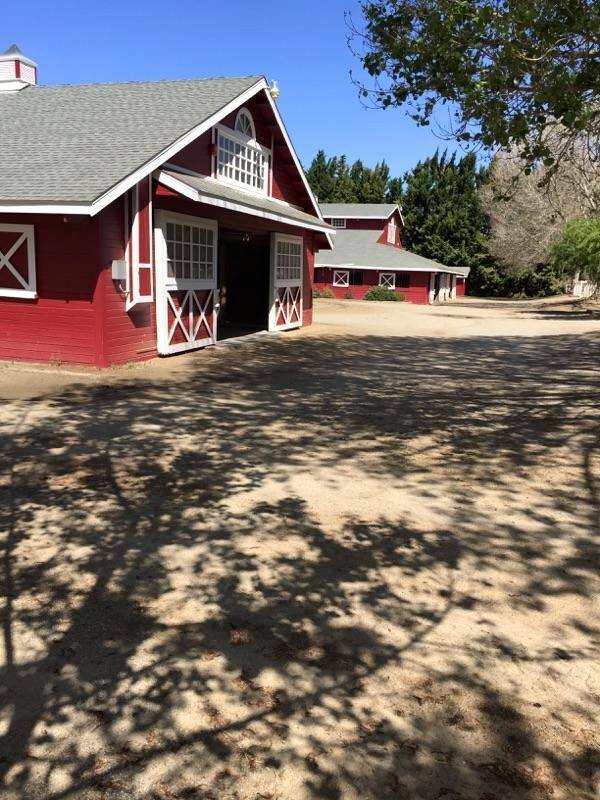 We then journeyed to Santa Ynez to meet Carol Steppe, the owner and breeder at Day Dream Arabians. There, we were all treated to a picnic lunch on a shady lawn in front of pastures of with mares and their new foals. After lunch, Carol brought out four mares for us to judge in the arena and discussed type, conformation, and form to function. 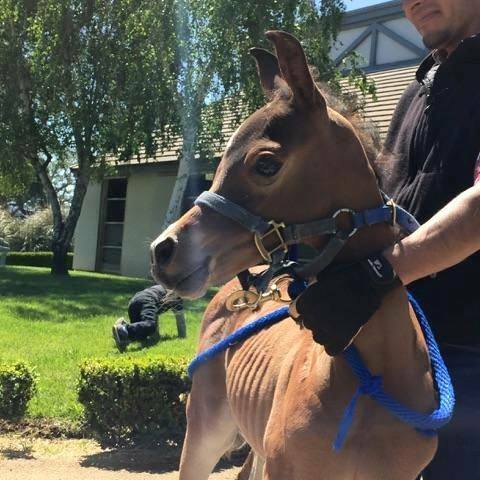 Next we had the special pleasure of meeting four foals, and a petting a foal session for anyone interested. Of course, they were all interested. The kids learned about color, embryo transfers, the story of the “bloody shoulder” and more! Next up was a visit to Jade Creek Arabians with trainer Greg Harris. Greg had four beautiful western pleasure horses for us to judge. There were no dinks in that group! However, the easy winner for the class was Capt Jack Sparrow PGA which is a gazillion time National winner. Now they know what an awesome western horse looks like. 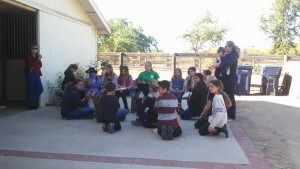 After the western class presentation, the youth sat on the grass under oak trees and prepared a set of reasons. Each child gave an oral presentation to either Meaghan or Kandice, the judging team coaches. Finally, the day ended with a trip to Arroyo Arabians with trainer Kelly Elm. Kelly showed us a class of Half Arabian Country Pleasure horses. 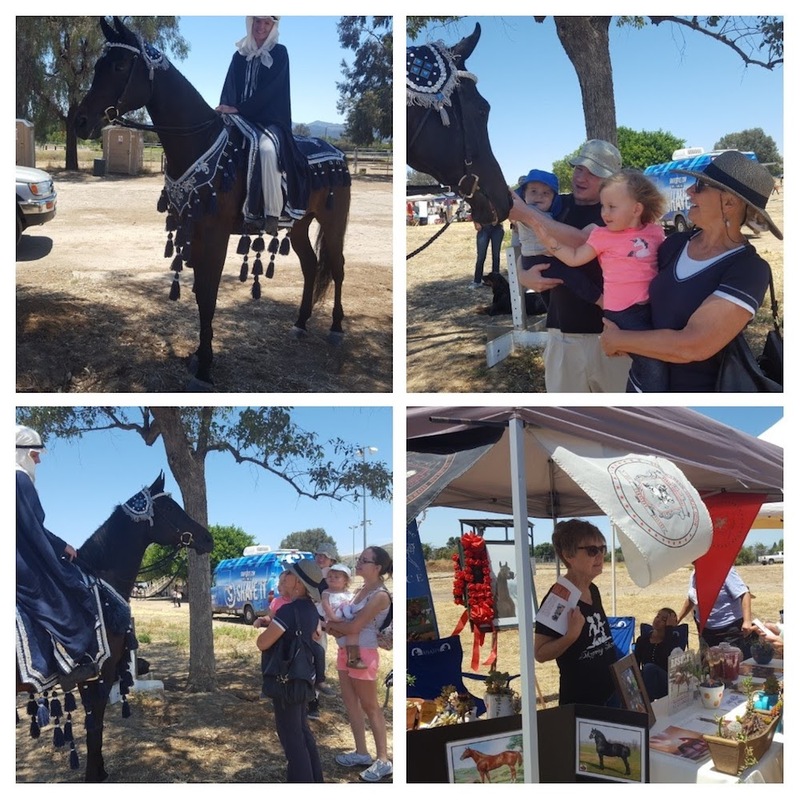 It was a great chance to see the different crosses bred to Arabians including a Hackney, Saddlebred, Friesian, and Dutch Harness horse. Flora also gave an equitation demonstration and performed one of the AHA equitation patterns for us to critique. Our happy day ended with a pizza party at Arroyo Arabians and a Region 2 youth meeting. Several new youth members signed up for committees and ideas for fun classes and fundraising were discussed. What a wonderful day and educational day we had. The Arabian community is a kind and generous one. It’s awesome to expose all these new horse crazy youngsters to our breed. Now we just need to keep them! Our next get together is at the Region 2 spring qualifier in Santa Barbara on May 9 and 10. The region is sponsoring the youth judging and hippology teams this year and the teams will be at the show volunteering to help all run smoothly. After that is the judging contest in Del Mar on May 29. See you all there! The girls came home victorious! 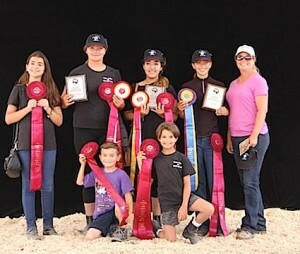 The “Region 2 Nerd Herd” was the overall National Champion Team in the Youth Hippology Contest in Albuquerque at the Arabian Horse Youth Nationals. 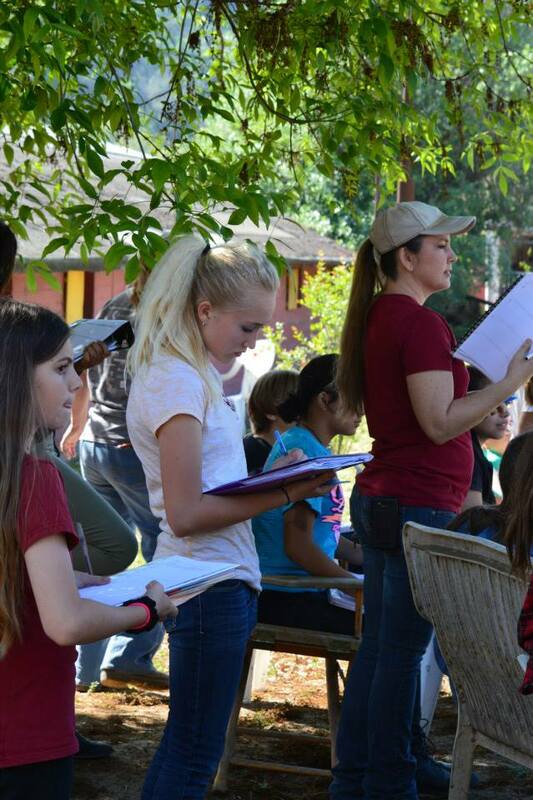 The team consisted of AHASFV club members Krista Askenas, Kate Day, and Natalie Zavala. Reserve Champion Team overall was the “Region 2 Winningest Team”, with Danielle Garcia, Sarah Aronovsky, and Kate Atkinson. 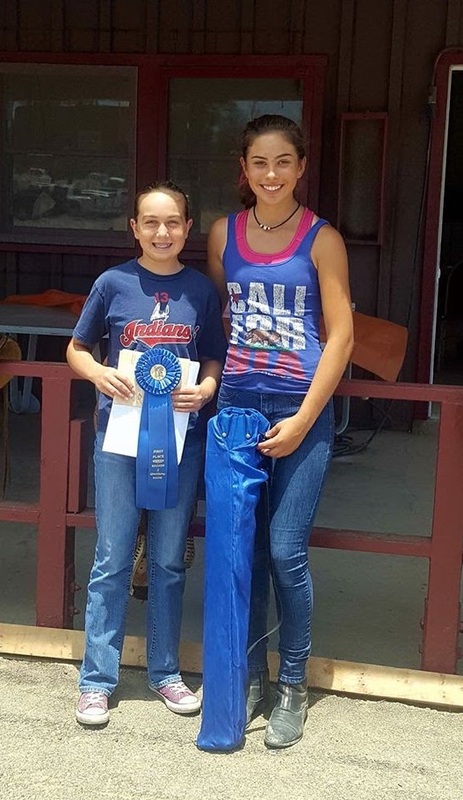 In addition to successful team winnings, Natalie Zavala won Individual Champion in the 10-13 age division with a score of 89 out of 110, and Krista Askenas won Individual Champion in the competitive 14-18 age division with a score of 114 out of 132 possible. This year there were 45 contestants. The largest division was the 14-18 category. The teams competed for Nationals ribbons, plaques, and Arabian Horse Youth Association prizes. 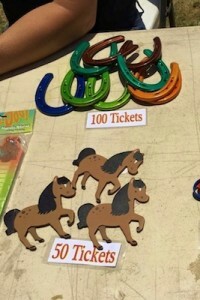 The contest was sponsored by the Region 10 Arabian Horse Association. The road trip began early in the morning. Six girls were piled in the rental van with their chaperone/driver/coach, Meaghan Shaffer. The 13 hour trip was fun and the kids enjoyed watching episode after episode of the TV series “Bones” to pass the time. The next two days, the kids participated in the youth convention and dinner, mechanical bull riding, and a clinic headed by Stan Morey and Bill Melendez. The hippology exam was split into two days so they left the show without knowing the results or their placing. Learning it by text once home, Natalie ran around the house excitedly yelling that she had won. Then she quickly got on the phone to inform the others of their wonderful results as well. 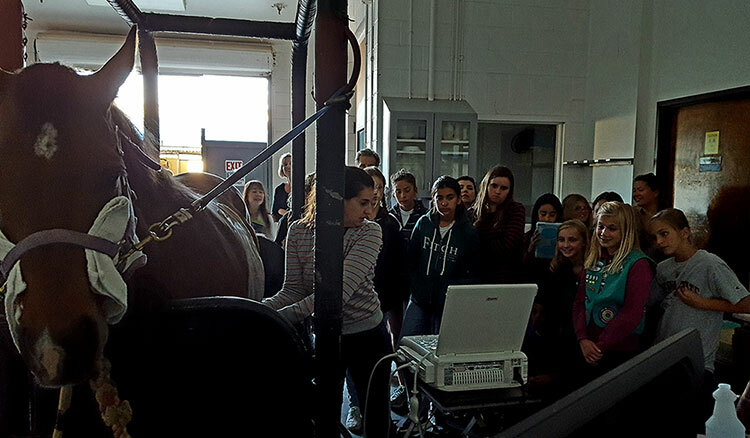 The hippology program is an extraordinary opportunity for youth interested in all things horse. Hippology is the study of horses so it includes all things such as colors, breeds, training, tack, management, conformation, feed, etc. Beginning in January, the kids study all things on the Internet and in books. They are given weekly subjects to study and most attend the monthly trainings. In May and June, the kids are given two hippology exams. The six top scoring kids in these exams earn the opportunity to compete at Youth Nationals. 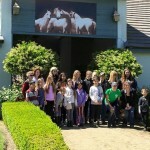 The youth helped to raise funds for the trip by scooping and serving ice cream at two horse shows. 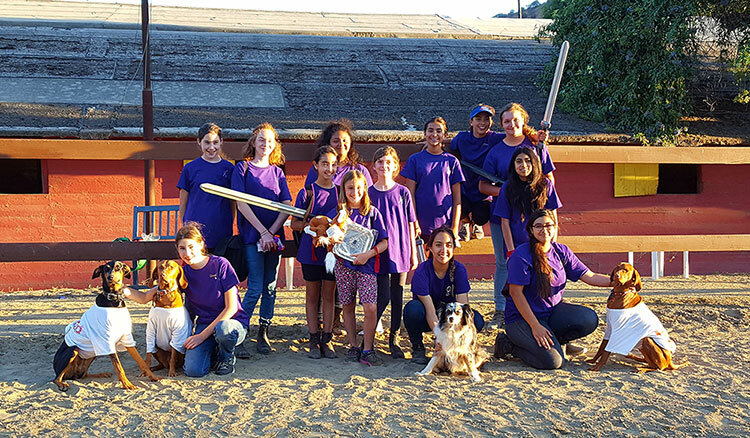 In July, the club fully sponsors and sends a hippology team of six to the Arabian Youth Nationals in Albuquerque, New Mexico to compete in the Hippology Contest. Any youth member can study and partake in the monthly activities but only the top six test takers are able to participate in the summer trip. The club has always come back with winning ribbons. It’s an adventure of a lifetime! You are Invited to be an AHASFV Youth member! 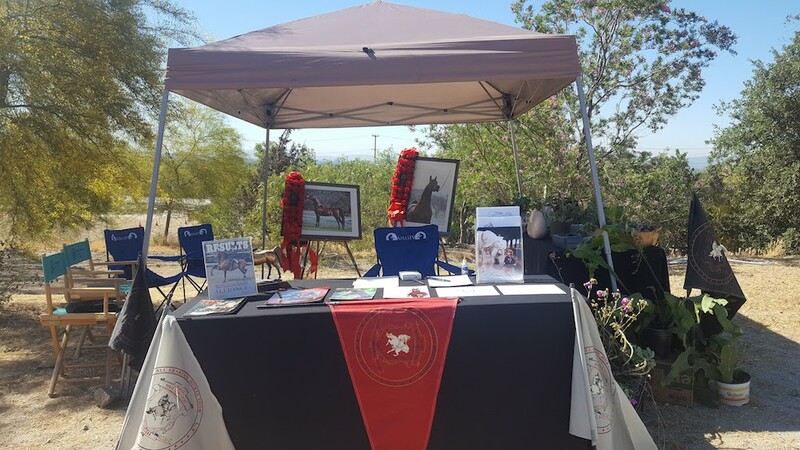 The AHASFV is looking for energetic, positive, and fun loving youth that want to work as a team to improve the Arabian horse industry for young people. 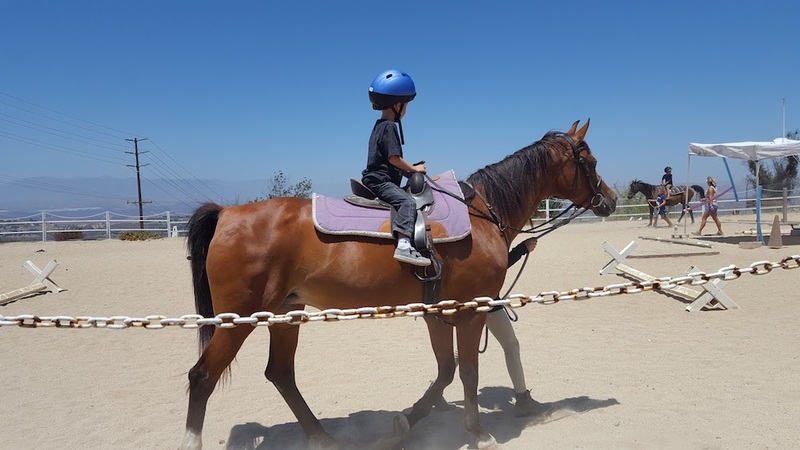 You do not need to own a horse to be an active part of most of the activities! If you do own a horse, this is a great opportunity to expand your equestrian activities beyond the show ring. 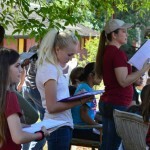 There is something for everyone in this unique Club with many established and successful Youth Programs in place. It’s exciting, affordable, and lots of fun! For more information about how YOU can get involved with the AMAZING ARABIAN, contact one of our Youth Coordinators. Visit our Membership section for an AHASFV Youth membership application. Our Youth Judging Team got a piece of the prize in Performance Judging High Team, placing fifth in the nation at the U.S. Nationals in Tulsa! The AHASFV judging team was comprised of Krista Askenas, Kate Aronovsky, Danielle Garcia, and Natalie Zavala. Krista received a top five individually in Performance Reasons. So cool!! This was the first time we’ve ever sent a team to compete in the big contest. It was the first time their coach has attended as well. There were 150 competitors in the contest this year. The contest started at 8:00 a.m. and didn’t finish until 4:30 p.m. For those seven and half hours, the kids were in complete silence and had no electronic devices at all. Torture for many teens! The divisions of the contest were in Junior AHA (18 & under), 4-H and FFA, and collegiate teams. The kids judged four halter classes and six performance classes. They turned in individual scorecards for each and were not allowed to consult notes or confer with one another. This process took all morning. They hopped on a bus in silence and were shuttled to a nearby hotel for a boxed lunch and to prepare and memorize their “reasons”. The youth had to remember the class they judged in the morning and explain in an organized and concise manner the reasons why they placed the class they way that they did, using proper terminology and cite their reasons using specific examples from the actual class. They had to do this for four of the ten classes that they judged. The next morning the kids attended the awards breakfast. It was a semi-formal affair and full of prizes and scores. The team was thrilled to earn the honor of getting a nationals ribbon. Finally, the kids were invited to participate in the Judging parade in center ring at Nationals. All the team participants carried their winnings, banners, and flags, and they took a lap around center ring while the announcer introduced them. It was similar to the Opening Ceremonies at the Olympics. Our team flew to Tulsa with the goal of just getting their feet wet and learning the ropes in order to be competitive for the following year. The girls were not far off the mark from being contenders this year. A few points here and there were all that are needed. 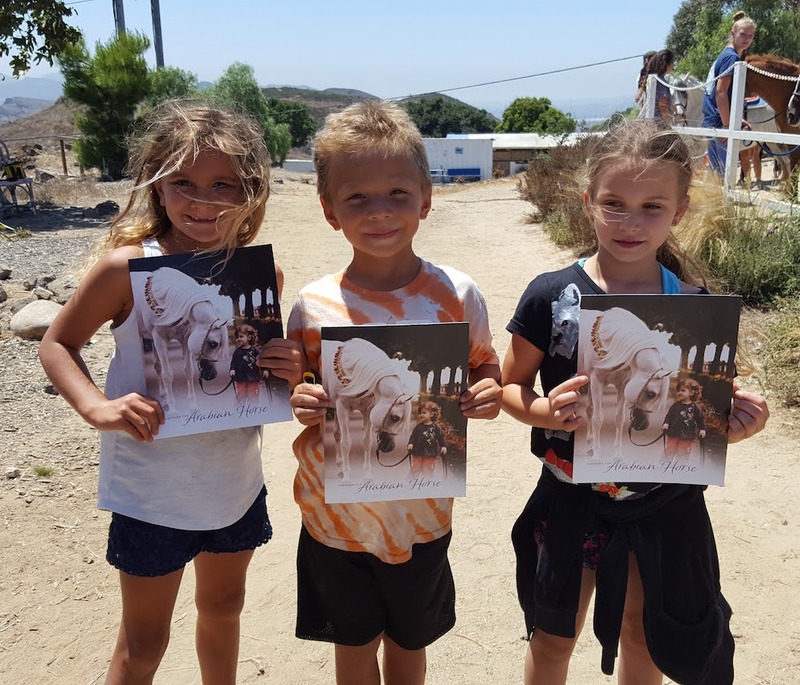 The experience gave the kids just enough success to fuel their fire and get them motivated to continue preparing and learning. The kids are right on track with their studying and training. Watch for them next year! The second largest program involving our youth group is the Youth Judging Team. 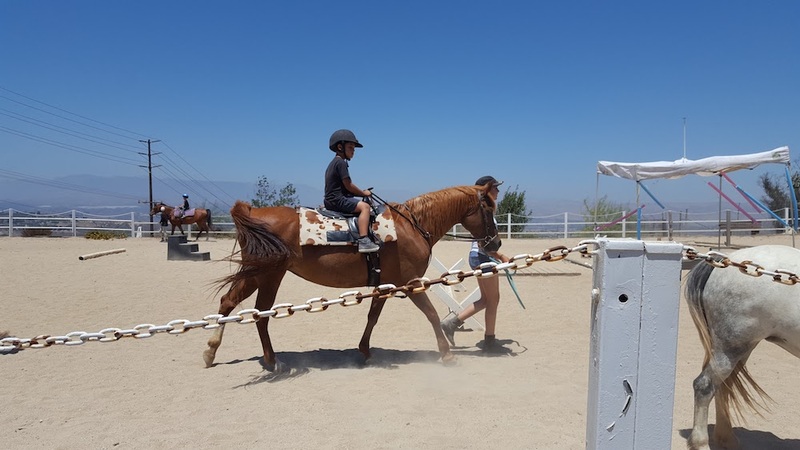 This team is composed mainly of the older youth that want to learn how to critique a horse and the different specifications required in each class. 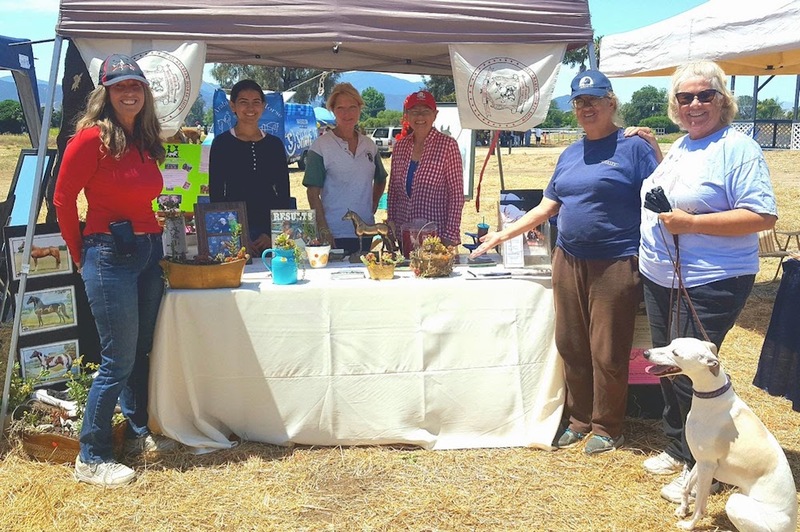 There are two other judging competitions during the year; one is at Cal Poly Pomona in March and the other is held at the Region 1 show in Del Mar in June. The top four scoring youths from those two competitions receive an invitation to take a sponsored trip to the final Judging Contest at the U.S. Arabian Nationals in Tulsa in October. Not only do the kids represent themselves and their club, they judge high quality horses that are competing at the pinnacle of their breed. 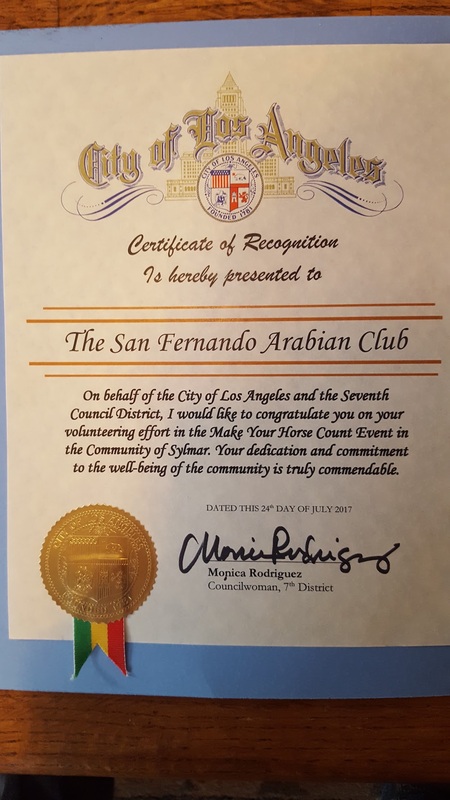 The experience is unmatched in that the youths learn poise, public speaking, and a greater appreciation for Arabian horses.